This past weekend I had a unique experience. I got inspired to be better. Better as a person and as someone who motivates and inspires others. It takes a lot to really inspire me but here is my rant on what went down. First a little background. I have been working out in gyms for many years and done many workouts but cardio has never been my thing. I’ve hated it for the 20+ years I was playing sports, and I still hate it when I do it today. An aerobics or spin class, just does not appeal to me. I would rather do the cardio by myself. I have had enough of people yelling at me during my time playing organized sports, that I’m just done with it. Plus, I know how to push myself hard. With that in mind, it may or may not be a surprise that during all the years I’ve spent training and working in gyms, I have NEVER been to a group exercise class. Not one. This weekend was different because I wanted to see what all the fuss was about. What made him so appealing to the millions of people that follow him and his programs ? Even though I was going to a “cardio class,” I was still not doing the class. I volunteered to do crowd control so I could still see what was going on and not look like some random crazy dude watching all these people work out. I was still watching everything, but at least this way I had a reason to be there and didn’t look like some stalker. I was teaching a bootcamp class in the morning so when I get there Shaun T’s class was already in progress. There were over 300 people working out and having a good time. I’ve never seen so many people working out at the same time. This was the first thing that inspired me. 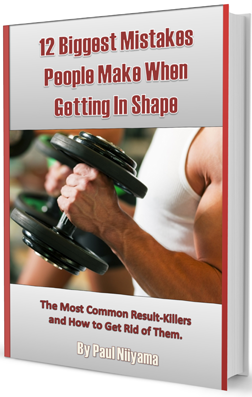 The sheer volume of people that were committed to getting in shape was awesome. These people were of all sorts of fitness levels. Some were in great shape and some were out of shape and there were a lot that were somewhere in the middle. The thing I loved was the effort that everyone was giving. It really made me want to find ways to motivate more and more people. The level of enthusiasm and joy that he created in such a large amount of people was really awesome. I want to do the same thing on a large scale like that. 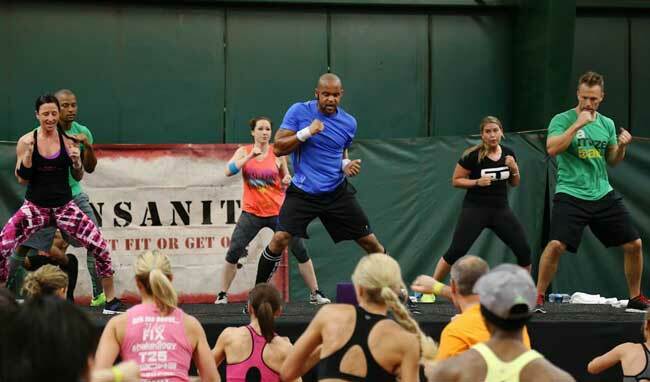 The next thing that I loved about the actual class was the way Shaun T was inspiring everyone. He was so positive the whole time, he was talking about life and related it to fitness. His positivity was infectious. In my time spent at the gym I’ve seen a lot of boring “cheerleader” trainers that just keep yelling more, more, more. I’m sure I’ve even been that boring trainer sometimes. I have also seen even worse. Trainers that don’t even care what their clients are doing. Forget motivation, they are just interested at all. To truly motivate someone to go beyond what they think they are capable of and make if fun is a real art. You need to believe if you want to help people and motivate them. This motivation comes from a place of passion. A passion for truly inspiring people to be the best they can be. Inspiring people is huge. Shaun T’s motivational sayings were not just about getting more reps, they were about life. Becoming a better person. Focusing on the big picture. When I talk to my clients it has usually been about their goals, not about life and becoming a better person. I really digged this approach and I want to start to use it more and more. After the class itself, he sat down and answered a bunch of questions from people. There were people that simply asked to touch him, and others asked deeper questions. Some of the answers he gave was a slight shift in how I think and how I motivate people. The first thing he said that comes to mind come from his answer to someone who was talking about how much weight they lost and how much more they had to go. His response was that she was already there. Herself at the beginning would be thrilled with where she was at currently. This was a slight shift in the way I try to motivate people. Normally I am focused on the goal the client wants. If someone wants to lose 20 pounds and, after some hard work, has lost 10 I am happy for them but I push them to keep going. What he was saying was very accepting and focused on being happy, no matter what phase of the journey you are on. I think I do the same thing for my clients, but don’t stop enough to emphasize the wins they make along the way to their goal. For some people this recognition of their wins and hard work is important and I want to spend more time on this. The other thing that he said that really stuck with me is about working out. It is something that I do believe in but don’t normally say. His response to one of the questions was that he didn’t care what workout you did. His INSANITY program is not for everyone, but you should do something to be active. What I took away from this is that not only is he accepting of other people but accepting of himself. It takes a lot of balls and confidence in yourself to say I don’t care if you do my program or not, or even if you like my program or not. Realizing that your methods are not for everyone is huge and wanting to help inspire people to do something anyway is also huge. After the Q & A, a small group went into a small room and got to talk with him for a bit. Although I’m not the cardio guy, I do love the work he is doing to get people in shape and inspiring them to be better people. I chatted with him about training and motivating people. I got a few mindset tips from him on inspiring people. We had a few laughs, and of course, I needed to get a few pics. Since I was inspired to help more people be happy and to be healthier, I want to give you a challenge. This week I want you to go inspire someone. Get creative with this. You can make them feel good about themselves, you can teach them about eating healthy. you can help them to be more active, or you can help them in a way that is totally unrelated to health and fitness. The choice is up to you, but pay it forward and go do some good. The second action step I have for you is to help me with my goal of inspiring more and more people. I want to help people stop eating crap, help them work out more, and help them to be more active. Yes, you can help me with this. If you haven’t done so already, subscribe to my newsletter and share anything from this site the resonates with you. Post a question on facebook or twitter, because someone may have that same question and the answer may inspire them. Let’s go inspire people. Let’s go smash it! Shaun T recorded the Q & A session at the event for his Define Your Life podcast. Last week he posted Episode 24 which is the audio recording of that Q & A session from the May 9th event. If you want to hear what was actually said you can check out the podcast on play.it by clicking here. Just scroll down to Episode 24- New Jersey from Thursday June 18th. You can also go to iTunes and download it for free by clicking here.